There seldom are men who influence a country in so many ways that they are going to be remembered for a long time after their reign. Italy has had many such men in history. In the post Mussolianan-era however, there was only one such man and he happens to be Silvio Berlusconi. Berlusconi was the prime minister of Italy, a man who served the term longer period than any other Italian politician. But he wasn’t just that. Silvio Berlusconi also ventured into media, real estate and everything else that was possible. For someone who had such an influence over the country, Silvio Berlusconi also had quite a number of controversies associated with his reputation. The story of such a man would make for one really interesting piece of a read, at the very least. Born to the middle class couple of Luigi and Rosa Berlusconi in the year 1936, Silvio had a very normal beginning. He studied law at the Statale University in Milan, something that laid a foundation to his future political life. Much before he ventured into politics, he was a businessman and a highly successful one at that. And a little before that, Silvio was also a musician, a side of him that a lot of people probably haven’t heard of. 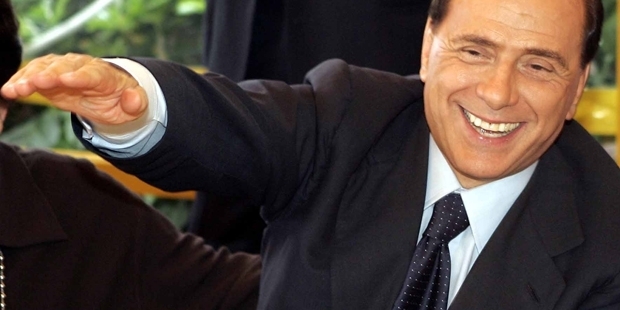 When Berlusconi took to business in the 1970s, Italy probably hasn’t seen a businessman who was more shrewd or adept. Starting off with his media channels, he spread his empire into a host of areas, Italian football teams, publishing houses, real estate and pretty much everything that was native and popular. Naturally, he made quite a lot of money while at it. The people of Italy have seen how Berlusconi has made himself such a huge success. In the early 90s, when Italy wasn’t really doing all that well economically and politically, Berlusconi promised them a political revolution and change that they longed and revolted for. So naturally, this led to people electing him as their prime minister in the year 1994 when his stood from Forza Italia to contend.There were quite some remarkable changes in Italy’s systems under his rule. He’s been elected over and over again despite the fact that he got into controversies every time he was in power. By the year 2011 though, the people of Italy began to realise that Berlusconi was not really all that they had hoped for and then came yet another change of government in country. Yes, there have been controversies in Berlusconi’s political and personal lives, but Italians and the rest of the world, to this day would admit that all the power and influence that he executed over Italy was nothing short of a sensation.